In addition to our staff of almost 200 employees, HoMA is fortunate to have more than 400 volunteers—including 111 docents—who work hard to keep things running smoothly during events like ARTafterDARK and Bank of Hawaii Family Sunday, at screenings and performances at Doris Duke Theatre, not to mention our daily operations at the Visitor Information Center, as well as leading tours. In fact, many of our current staff began their careers at HoMA as volunteers. 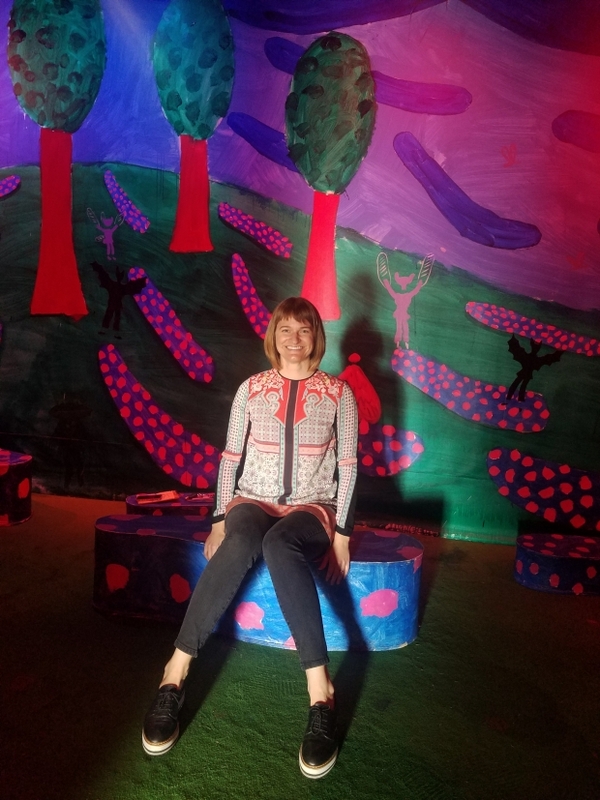 Between all the emails and phone calls it takes to stay organized and in touch with so many people, Plant likes to spend her lunch breaks at Spalding House with her favorite artwork in the museum—L’Enfant et les sortilèges, the permanent installation by David Hockney. Housed in Cades Pavilion at the edge of the lush, terraced garden, L’Enfant et les sortilèges is an interpretation of Hockney’s original stage designs for the 1981 production of Maurice Ravel’s opera of the same name. 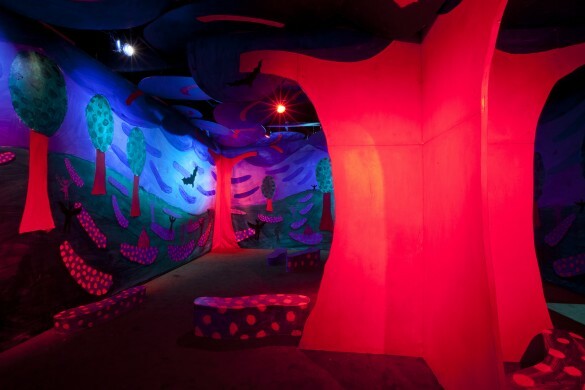 The installation is an immersive painting, bathed in red light as the arias and soliloquys loop through the story of a naughty boy who receives his comeuppance when the animals and objects he’s tortured come to life. “People tell me that it scares them when they walk in,” says Plant. “But I feel like what we bring in with us is what scares us. Walking into Hockney’s forest is like walking into that liminal space where the imagination comes alive and transformation happens. And actually, I’m scared when the door opens because you don’t know what’s going to come in!